The self-proclaimed "City of Innovation" has a great tradition of reinventing itself. Today's Fontana was once known as "Rancho de San Bernardino." The first recorded owner, Don Antonia Maria Lugo, passed the land down to his sons, and in 1851, the Lugo brothers sold their stake to Mormon settlers, who soon relocated to Utah. Various agricultural developers, including A.B. 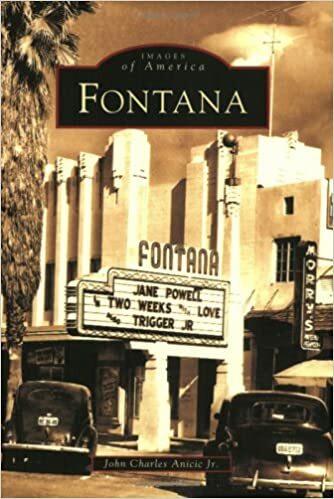 Miller, saw potential in the land, changing its name to "Fontana" from its earlier railroad name "Rosena." But citrus and grain were not the main exports for long. During World War II, the city switched gears to become an industrial powerhouse as Southern California's leading steel producer. At the junction of Interstates 10 and 15, modern Fontana is a vital nexus of transportation and commerce, with the legendary Route 66 passing through its well-preserved downtown district and Route 99 through its southern boundary.